George Croghan was born on 15 November 1791 in Locust Grove, KY. He enlisted as a Private in 1811 serving under Major General William Henry Harrison. The courage shown by the young soldier at the Battle of Tippecanoe prompted Harrison to promote him to Captain. During the Siege at Fort Meigs, he once again displayed his bravery by reportedly capturing more than forty British soldiers. For his heroic efforts he was promoted to Major. In the summer of 1813, at the age of twenty-one, Croghan was placed in charge of Fort Stephenson (now Fremont) located on the Sandusky River in northern Ohio. On 1 August approximately five hundred British soldiers and seven hundred Native Americans surrounded the area. British Major General Henry Proctor sent word for the U.S. forces to surrender or risk being massacred. Croghan refused. With less than two hundred men and only one piece of artillery, the young soldier held off the British attacks by moving his one cannon, "Old Betsy," around the fort to deceive the enemy into thinking the U.S. forces were heavily armed. The next day he was able to lure the over-confident British into a ditch where the Americans were able to successfully cripple the enemy, although they were severely outnumbered. The British and the Native Americans were forced to retreat from the area. The news of the victory raised the morale of the Americans and made Croghan a national hero. 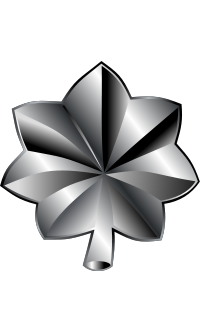 President James Madison promoted him to Lieutenant Colonel and Congress awarded him with a Gold Medal. Known as the "Hero of Fort Stephenson" his leadership in deterring the British forces as they attempted to enter northern Ohio has been called the turning point of the War of 1812 by many historians. After the war, Croghan moved to New Orleans where he became the city's postmaster. Later he was appointed Inspector General of the Army. During the Mexican-American War, he fought as a Colonel alongside Zachary Taylor. After the war, he returned to New Orleans where he remained until his death. 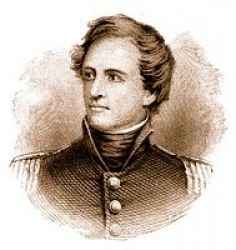 Lieutenant Colonel George Croghan died of cholera on 8 January 1849 in New Orleans, LA. Originally buried in a family cemetery in Kentucky, his remains were removed to the site of Fort Stephenson in 1906. He is now buried at Fort Stephenson Park in Fremont, OH.